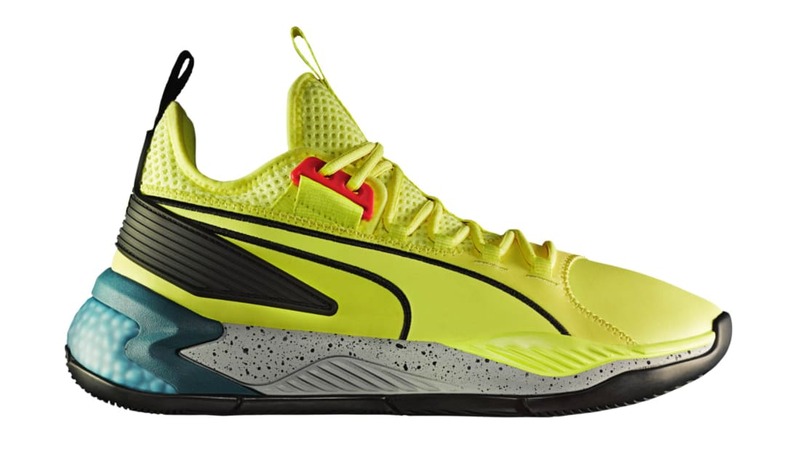 With the 2019 NBA Playoffs kicking off, the Puma Uproar Spectra will boast a striking yellow upper with a black formstripe on the sides, black heel counter, which sits atop a teal and grey midsole. Release date is Apr. 12, 2019 at a retail price of $130.